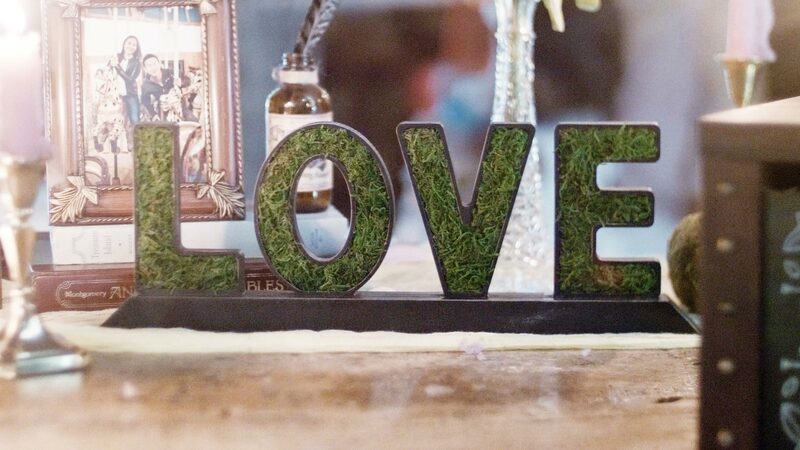 We can honestly say that we love our lives as wedding filmmakers. We’re lucky that we got to turn our passion into a living, to travel the world and work with some truly amazing people. We could probably write a thesis about our love of this job, but we’ll have to start with a shorter blog post. We hope you enjoy this insight to our lives! It has been incredible to work with every single couple who has hired us over the last few years. A wedding might be a stressful event to plan but it is also an incredibly happy day that two people get to share with their closest friends and family. We think it’s a pretty big deal to be a part of that. We believe its super important to establish a personal relationship with our clients. We want to know and understand them because we want to reflect their personality in their film. We’re driven to deliver the best possible product because we want to, not because we feel like we should. That’s when you cross the boundary between liking your job and truly loving what you do. Working as Wedding Filmmakers is the antithesis of working for a large corporation, marketing department or PR firm. We get a huge kick out of the responses we get to our work from people we have come to know. People who have shared intimate moments of their lives and trusted us to capture a once-in-a-lifetime moment. 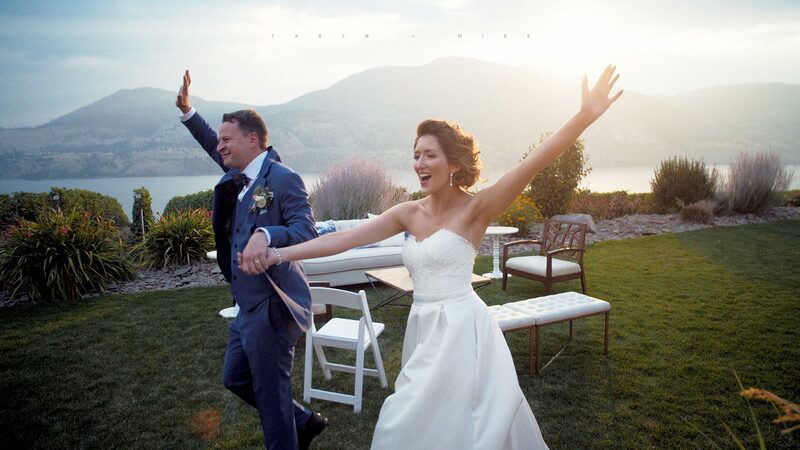 There are hundreds of Wedding Filmmakers across Canada, each with their own unique twist on videography. This means that we can all occupy our own space in the industry, develop our own ideas and work with couples who buy into our philosophy. Over the last several years we have been refining our style, and although it is continuously developing, we feel confident in our approach. We are all about character and narrative driven film making, heavily influenced by cinematic techniques. We like to guide viewers through a story and take them on a ride through the wedding experience. Dramatic vistas, dynamic lighting and natural performances are all key pillars of our visual aesthetic. One of the questions we ask during a consultation is “why are you talking with us today?”. We want to understand what you saw in our work that made you want to have a conversation with us. Strangely, many couples describe our work in the same way: We make wedding videos that “just flow” and “feel like a movie”. This is, in a nutshell, exactly what we set out to do. So establishing a shared enthusiasm in our creativity is super important and gives us a great base to work off. From that point we can riff on ideas and figure out ways to make a unique film that reflects your personality, your story and the experience of your wedding day. I immigrated to Canada in 2010 and although it’s now been over 8 years, I’m still in awe and wonder at this amazing country. There are mountains with rainforests, huge lakes surrounded by wildlife and spectacular vistas that stretch as far as the eye can see. As Wedding Filmmakers we have had the opportunity to explore so many hidden corners of this country and planet. Right now, we’d consider ourselves Editors first, Cinematographers second and a Writers third. Then at joint fourth we’d be web designers, business developers, brand consultants, seo specialists and social media marketers. As Wedding Filmmakers we are constantly YouTubing/Googling our way through the ever changing landscape of content creation. Its bonkers but we love it. Learning is one of the best ways to stay engaged in your job and we are figuring out new stuff every day. We Get to Play with Toys. All. The. Time. Who doesn’t love cool new stuff? Things with buttons, cool screens, funky sounds and even rotor blades. Technology doesn’t determine the story that we’re telling but it can certainly influence and aid the way in which we capture it. 10 years ago Wedding videos were long, tasteless and terrible to watch (for anyone other than your parents, of course). They were a world away from movies and tv shows in terms of production. But now the best Wedding Films resemble actual films. The lines are becoming increasingly blurred and the single biggest influence in that change is the advancement of camera technology. Who would have predicted 10 years ago that we’d be carrying an aircraft in our backpack that allowed us to capture spectacular aerial footage? And in that same backpack we’d be carrying three cinema-quality cameras, a full audio kit, lenses AND a stabilization system. 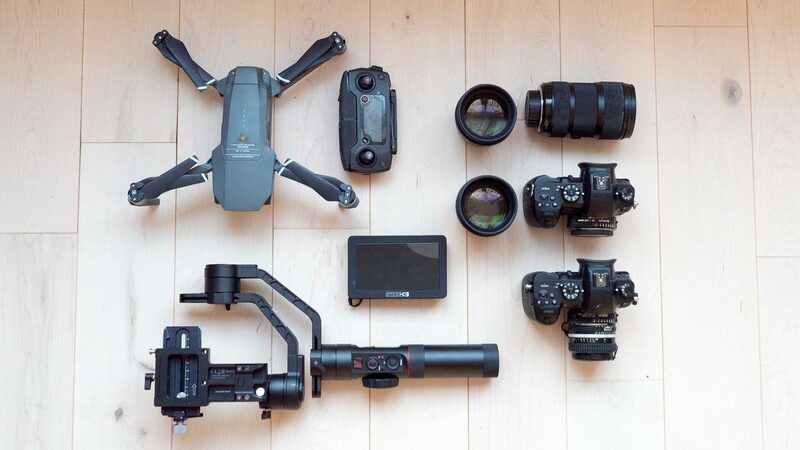 It’s important for Wedding Filmmakers to stay on top of the latest technological trends. However, we must be mindful of letting technology control our creativity. 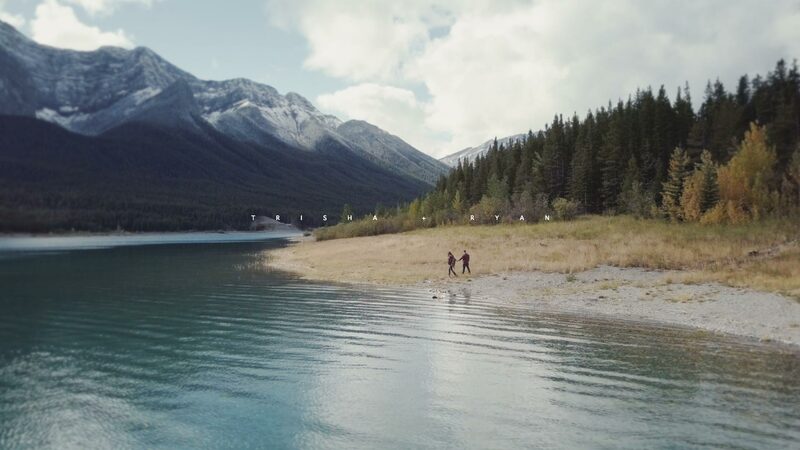 While it might be cool to spend hour playing with a drone filming spectacular vistas, our time might be better spent capturing a passing moment between two people with a small camera and a vintage lens. Weddings Filmmakers have somewhat of a seasonal schedule and we only work with 20 couples a year. We keep our numbers relatively low for two reasons: The first is that we want to dedicate a lot of time to each couple so we can create a unique piece of art. The second is because we want to spend part of the year working on non-wedding related projects. This is super important to us because it keeps our ideas fresh. We get to develop personally, professionally and maintain our enthusiasm for each wedding that we film. I (Mark) spent a lot of time working in the Video Games industry before setting up Kismet Creative and so for the first couple of years I gravitated back to writing, directing and editing super cool trailers. Check out this short film “The Mechanical Apartheid” which was produced for the video game “Deus Ex: Mankind Divided”. You might see some Kismet influences in those beauty shots of the couple! Earlier this year we helped to develop pitches for some TV shows that were being sent to the likes of Netflix and Discovery (a few of which were picked up!). Now that the 2018 wedding season is winding down we’re scaling up the development of our own Science Fiction docu-series which we hope to be pitching out in 2019. Its pretty exciting stuff! And if it weren’t for weddings we wouldn’t have the time to invest in our own ideas. We have a seriously Good Work/Life Balance. One of the main reasons we no longer work in the film and tv industry is because we want to be active and present parents to our daughter, Isla. Working 10 hour days, weekends and evenings just doesn’t compute with with us. Although being business owners can be incredibly stressful at times, we get to be in control of our own destiny, so to speak. We set our hours, our deadlines and expectations. A huge factor in our project management is making sure we spend a lot of time together as a family. We play, explore and go on amazing adventures. Having this kind of balance means that we’re never drained or fatigued. We always have the right amount of energy an enthusiasm to invest in the films we create.